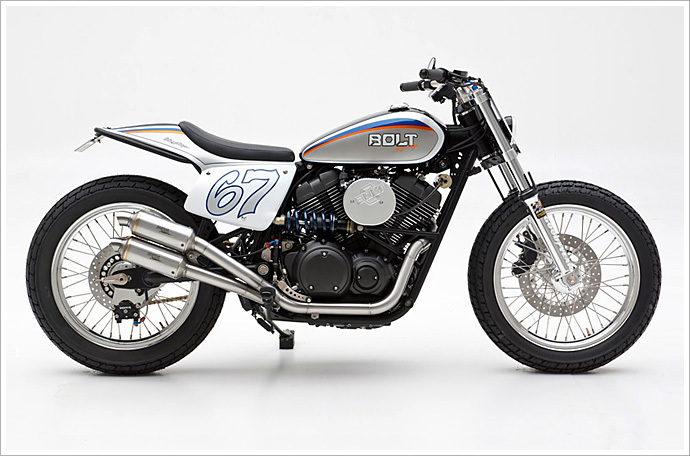 A little while back Yamaha gave one of their fresh off the factory floor Star Bolt’s to 10 custom bike builders. The brief was pretty simple, do whatever you want with it. Jeff Palhegyi from JPD Customs was one of the chosen builders. Over the years Jeff has created more than 60 individual custom Stars for Yamaha, but this was his first Star Bolt. After throwing around a few concepts, Jeff decided to turn the Bolt into a retro styled dirt tracker. “I have always been a fan of Dirt Track Racing and the Star Bolt ‘Dirt Track Concept’ was a natural fit” he says. 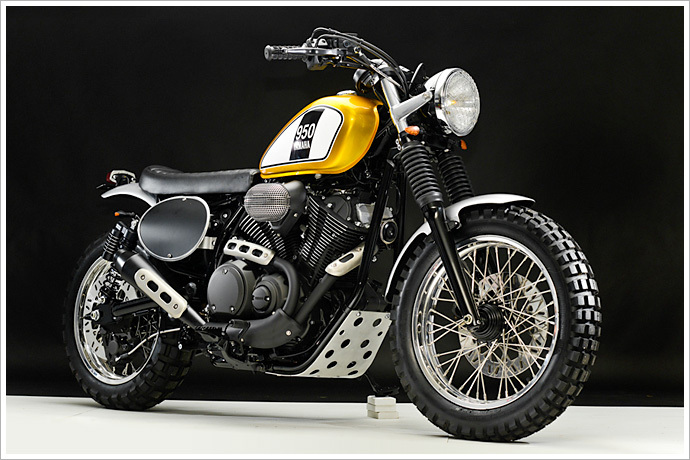 The bike may not have won the Bolt Build Off – that was awarded to Doc’s Chops – but it did receive a lot of attention and is still one of our favourite Bolt builds.